My neighbor has a few horses and offered to give me all the manure I want. Since I have only 2 acres - about one acre which is prime grass, should I take him up on his offer? How would I use this manure to fertilize the one acre of lawn? I don't have a manure spreader and its probably not worth it to purchase one. Can you hand spread it with a shovel? Will it stink up the neighborhood? Can I walk on my lawn after I put it on? Should I just get a pile of it in my 5x8 utility trailer and leave it next to my pile of topsoil to mix for planting? Fresh manure is not only malodorous, but also very harmful to your lawn and garden. The nitrogen content is far too strong, and will cause your lawn to "burn". Manure must be aged to the point of being grey, and nearly weightless before it is any good for fertilizer. Horse manure is not the best choice, mainly due to the fact that it takes so long to age properly. Cow manure is much preferred because it is flat and thin, rather than in the form of balls. Cow manure is much easier to work with too, as it breaks up in the soil so much better. If you decide to take a load of horse manure from your neighbor, plan on letting it stand for at least two years before attempting to spread it in your lawn or garden. Longer than two years is even better. Cow manure can be tilled in the same year, so long as it has been collected from a pasture, where it has been sitting under the sun. Never take any manure that has been cleaned from a feed lot, calving pens, or any place from which animals have been penned up in a small space; as it will be heavy with urine, and very hard to stomach for both you and your neighbors. To add to Joel's excellent advice. If you do take some (or all of it) build yourself a (very sturdy) 3 sided container just wider than the bucket on your FEL. Put the manure in there, and cover it with an old tarp. Then at least every few days in the warm weather, and weekly beyond that, use the FEL to mix it as well as possible. Using this system you will have a useable product in less than a year, with a minimum of odour. We produce vast quantities of organic material from duck manure mixed with a lot of sawdust. Using commercial row turners and accelerants, we make well-rotted useable stuff in 90 days, but the average homeowner couldn't do it that fast. I have neighbors who live far enough away through the woods (at least 1500 feet to their property line) that I can't even see them, but I can smell the manure from their horses, when the breeze blows my way and they only have a couple up there. The other thing is that manure draws flies nice big horse flies. Thanks for the information everyone. This definitely will make me careful about taking any of this stuff. I think I may take a look and see how well "aged" it is before I commit to taking any. I'm not sure how I would go about spreading manure on a lawn. This is something I've never attempted to do before. Manure is usually incorporated into the soil by tilling, or cultivating, so that it mixes in well. Spreading it on top of the grass would be very difficult, without using some form of chopper, or centrifugal spreader. My grandmother used a cement mixer. She placed about 20 field stones of various sizes in the mixer, then shoveled in the aged manure. After mixing in this fashion for about 3-4 hours, the manure would come out looking like potting soil, which she then placed in her flower beds. You may be able to spread it on your lawn after pulverizing the manure in the same fashion --- and then spread it out by using a PTO driven "broadcast spreader" attached to your 3-point hitch. I'm not sure if this would work, but this is how I would attack the project. Some of the larger broadcast spreaders hold up to 800 pounds of grass seed, or fertilizer. Using the PTO to drive the spreader, the seed shoots out the rear, to cover an area about 30 feet wide. I think that getting the material dry and ground up as you suggest is the only way it will be usable at all. That said I don't want to be around when it gets spread . Could be mighty dusty. I find with broadcast spreaders that more pelletized materials work better, like the difference between pelletized lime and powdered lime, with powdered its just too dusty or it cakes up in the hopper. A broadcast spreader wont work with compost, when you compress it it forms into a solid, the weight of the compost in the top packs the stuff at the bottom and you end up with a big mess stuck in the spreader. The spreaders used for top-dressing are simple enough to make, since they are pretty rare, and very spendyy if you can find one. They are basically a manure spreader, but in place of the beater bar, there is a drum-shaped brush like a street sweeper has, this brush fires a stream of very fine particles out the back, any clumps get ground down by the bristles going by it. 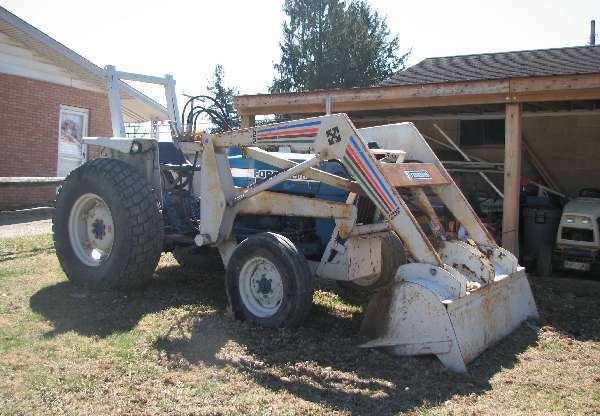 For spreading topsoil or the like, a small manure spreader, with the apron chain slowed down, and the beater bar sped up (by swapping out the gears) works about the best, and is certainly the most cost effective. If you live in or near a reasonable urban area you will likely find the bigger rental houses rent top-dressers. I hope if you do this that you test your approach on a small patch and see what happens first. Could be a great new business for you!